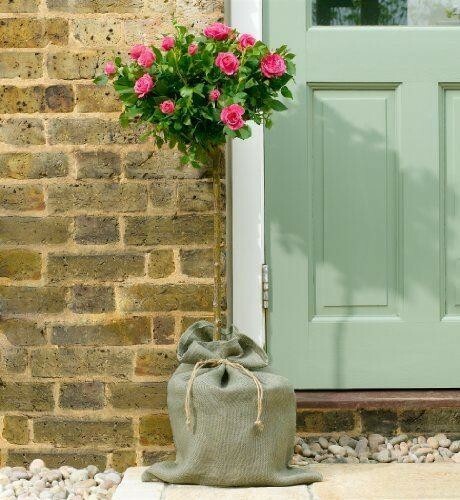 This Mothers Day item comes complete with Gift Wrapping - Plants will be wrapped and presented in smart jute bags. 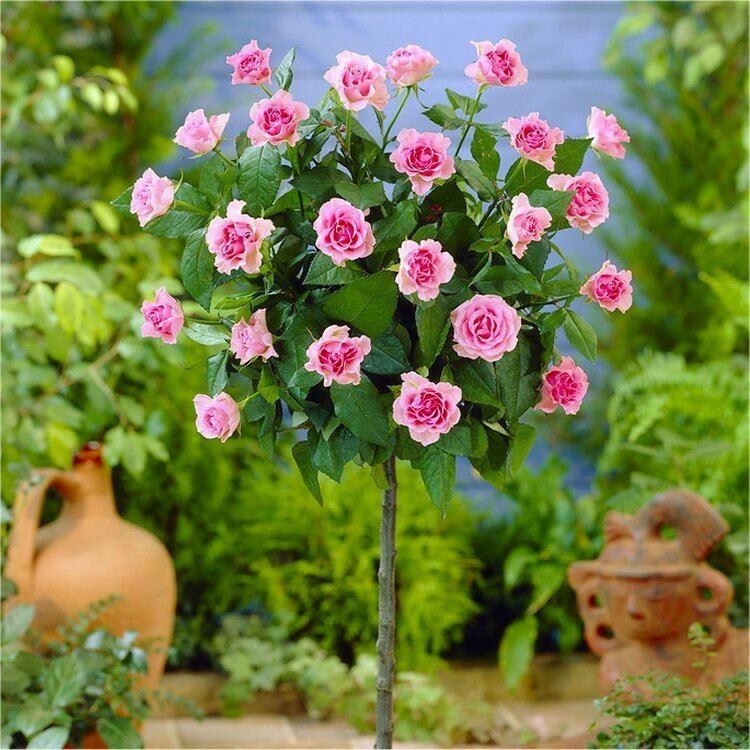 Standing proud, this stunning standard rose tree is filled with colour from its beautiful flowers, making it the perfect gift. 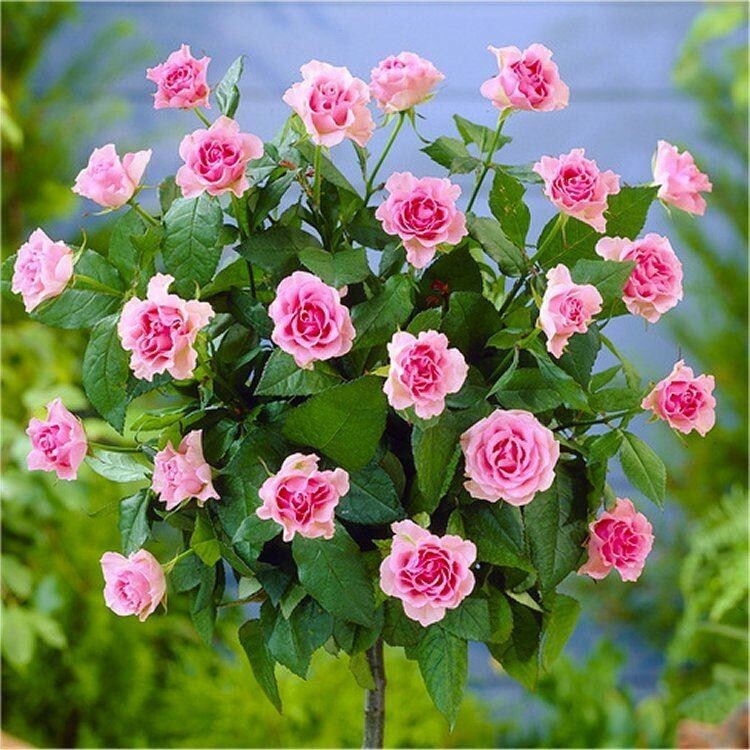 Masses of lovely bright Pink Flowers are perfectly formed in large clusters. It can be enjoyed in a bright position indoors now, before moving out of doors later on. In the garden it will provide magnificent blooms every summer, repeat blooming again and again throughout the season. 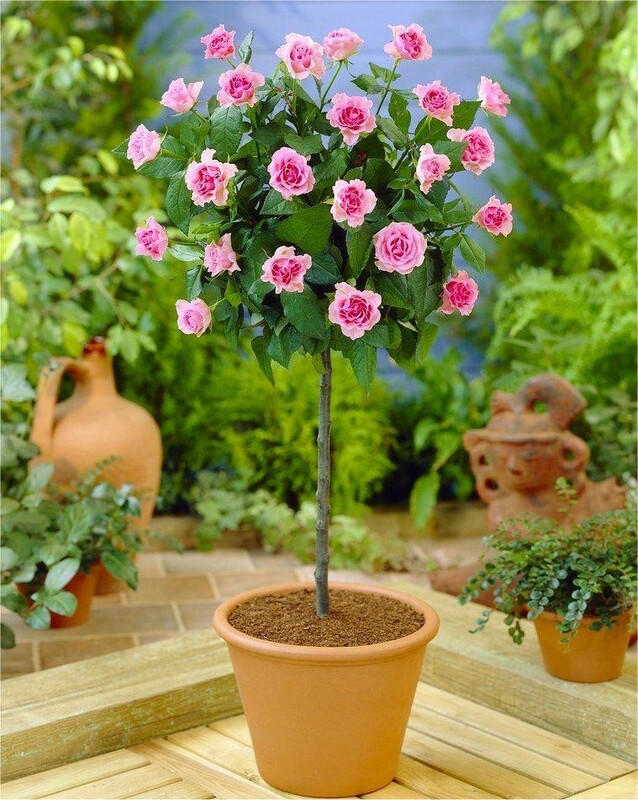 With beautiful clean healthy foliage, these neat robust trees are perfect for creating a generous centrepiece to a garden or flowerbed Ideal in smart planters, why not by two and use flanking a set of steps, either side of a doorway or path? Supplied in approx 3 litre containers with a smart jute bag wrap, a clear stem crowned by a head of foliage and flowers, with an overall height of around 75cms.